Do you say “doughnut” or “donut?” Either way they’re delicious! 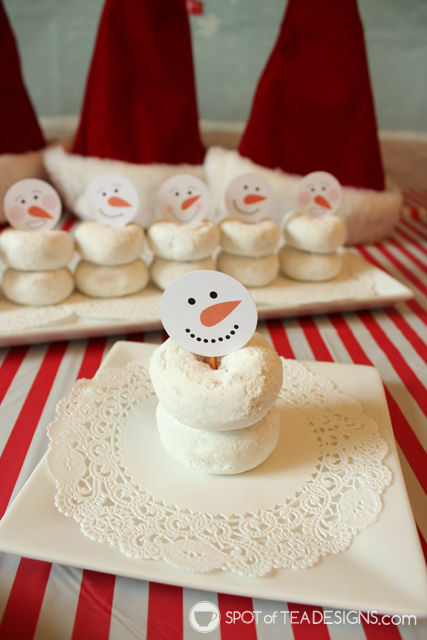 When everyone is rocking the holiday cookie recipes, be different and bring a plate of snowman doughnut snacks to the annual holiday bash. 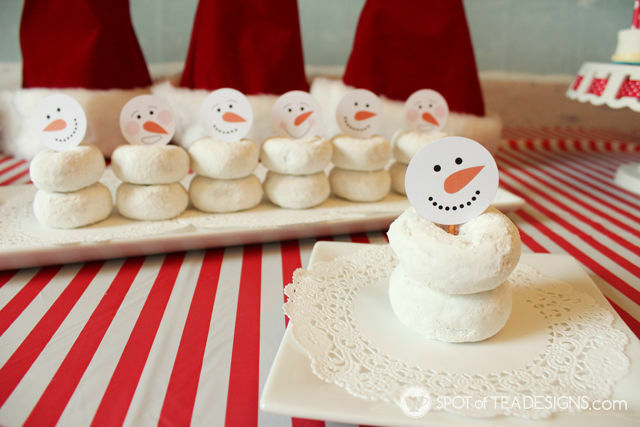 Use my free printable of snowman heads to make this quick and easy holiday treat! 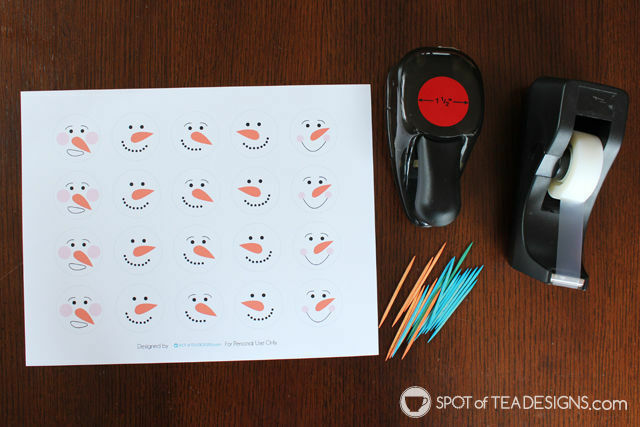 Cut along the outline or use a circle punch to cut snowman head shapes. 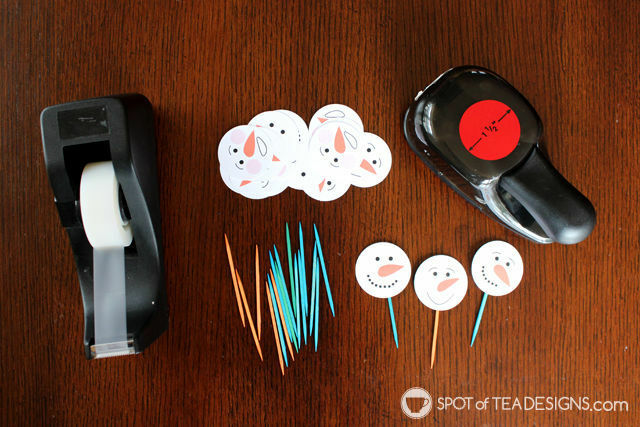 Tape the snowman head to a toothpick and you have one easy peasy topper! Stack two mini doughnuts on top of one another. Resist the urge to lick your fingers during this stacking process. Lastly insert the toothpick in the doughnut stack. 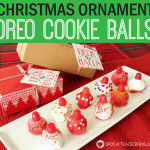 It could also be cute to add a mini doughnut hole on top! 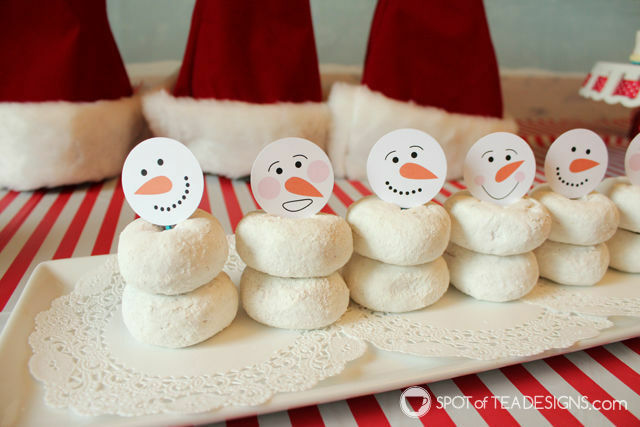 This treat would be great for the Christmas season, through the cold winter months or can easily be converted to a Frozen themed party! 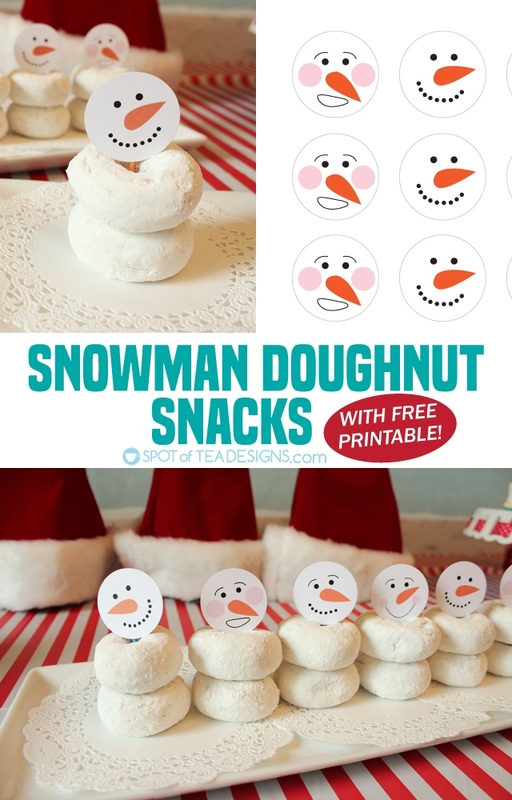 Tag me if you make these quick and easy snowman doughnut goodies! 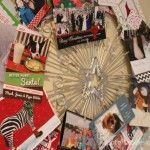 I’m always working on my annual Reader’s Feature and it TOTALLY MAKES MY DAY to see someone enjoy one of my creations!